There’s a good reason why Bali is called The Island of the Gods. With its glorious beaches, spectacular natural beauty, colourful ceremonies, vibrant culture and exciting nightlife, this small exotic Indonesian island is as near to paradise as it gets. Whether you like shopping in designer boutiques or haggling in local markets, being pampered in one of the many spas or prefer to go off the beaten track and explore ancient Hindu temples hidden in the jungle, a travel companion will help make it an unforgettable experience. Going on vacation with a travel buddy is safer and a lot more fun, so if your bestie is otherwise engaged and you are looking for a travel partner, our app Tourlina can help. It’s designed for women who don’t want to travel alone and can help you find a compatible female holiday partner. Let’s face it, sharing fabulous food or discovering Bali’s iconic landscape from the back of an elephant will be truly exciting with some like-minded company. Bali has a magical vibe wherever you go. If you are a dedicated sun worshipper and avid surfer, Kuta with a five-mile stretch of pristine sand boasts the best beaches and is a magnet for surfers, but the best waves are at Uluwatu. North of Kuta is sophisticated Seminyak with its hip hotels, cool cafes and high-end shops. While far removed from the beach party scene is the town of Ubad in the heart of Bali. Ubad is Bali’s cultural centre famous for its museums, art galleries, crafts and traditional dance. You can learn to dance Balinese style every day for free in the Bali Marketplace. Far better than a selfie, get your Bali travel companion to take your photo to share with family and friends back home. Surrounded by breathtaking scenery, Ubad is a good jumping off spot to explore the island’s natural beauty. Within a short distance of the town, you and your Bali travel companion could stroll through terraced paddy fields dotted with some of the island’s estimated 10,000 temples or the Monkey Forest. Adrenaline junkies can try white water rafting or bungee jumping on the Ayung River or take a trek up Gunung Agung, Bali’s highest and holiest mountain, which is still an active volcano. Many of Bali’s four million tourists choke the streets of Ubad and Kuta, but more peaceful attractions away from the crowds include Barat National Park with its prolific birdlife, fauna and animals including leopards and the endangered wild Javan buffalo. Gianyar has some of the Bali’s most important archeological sites and is home to the Bali Safari & Marine Park. Get your travel companion to take a snap for the album as you explore the park from the back of an elephant. 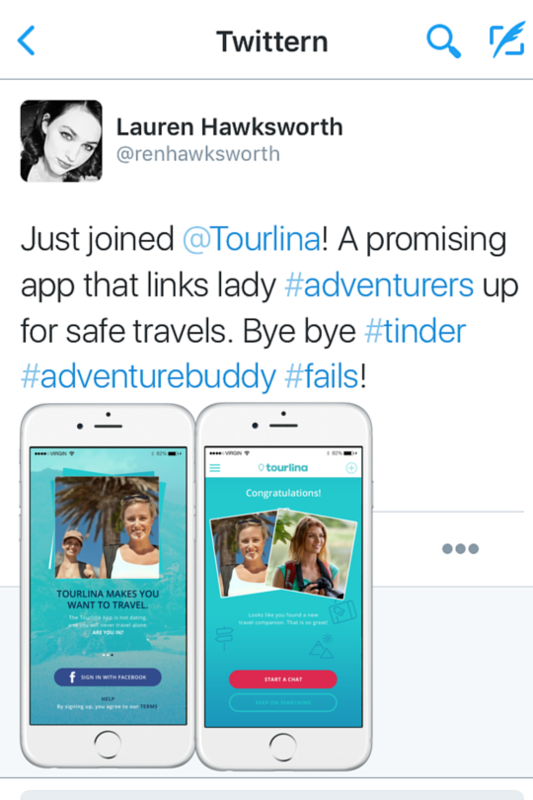 Download Tourlina, the app to help women travelling on their own to find a suitable female travel companion for your next trip to Bali.